We are a Kansas City-based business law firm for entrepreneurs, executives and companies. We are a business goals driven firm, which means that we focus on your end results and not legal minutiae. We work with businesses large and small, from the beginning stages through each major business hurdle. We create a tailored plan to suit your business’s goals and don’t try to just provide a cookie-cutter approach. Instead, we listen to your business needs, diligently work to understand your business, and create a plan that meets those needs. We are ready, willing, and able to assist your Kansas City business as your needs change over time. We have depth in contract law, information technology and general corporate expertise. Our attorneys have served as general counsel and truly do work to understand your business. We bring this depth of experience to bear on your matters. You get very experienced counsel at small firm rates. Create a partnership, limited liability company or corporation in Overland Park, Kansas? Buy or sell a franchise or business? Buy, sell, or lease real estate? Distribute or manufacture products or goods? Acquire or develop intellectual property, such as a trade secret, copyright, trademark, patent, database, or a domain name? Engage a IT consultant or license software? Negotiate a confidentiality, non-solicit, shareholder, employment, non-compete, outsourcing, independent contractor, or other important contract? Implement a data security, privacy, or other program or policy? Deal with a lawsuit, government enforcement proceeding, or other claim? We help you determine the first course of action by reviewing the facts and coming up with an immediate action plan. Then, we help you executed that plan. Finally, we work with you to create an overall system to help you eliminate and mitigate risks in the future. We want to be your trusted adviser for the long term. The Business Law Group is a small firm. Even though we’re small, we bring sophisticated business law expertise to the table. We do it with a personal touch through our cost-effective approach. We have worked with businesses at all stages of their life cycle and in most every sector. We help large, international corporations as well as sole proprietors just getting started. Complex deals and business come in all sizes. Accordingly, we offer top-notch representation with an eye on value – by keeping our overhead low and passing those savings on to you. We would love to speak with you about your business. Call us today at (913) 225-8215. We will set up an appointment to discuss your business needs – both now and those in the future. We are glad that you chose us to partner with in helping you achieve your business goals. Business attorney – a business attorney is a lawyer that focuses on business, or corporate law. The Business Law Group is a focused firm like this. We serve many business clients and use our experience and resources for those client. contract law – contract law is the business of dealing with agreements of all shapes and sizes. As you can guess, contracts can be simple, even a couple of paragraphs to being extremely complex, such as several hundred pages. Our business lawyers have worked on deals that range from a few thousand dollars to several hundred million. We work in Overland Park KS and Leawood, Olathe, Lenexa and Shawnee as well. business lawyer – a business lawyer is the same thing as a business attorney. corporate law – corporate law is more than just contract law. Instead, it focuses on the entire business and not just a slice. Our corporate attorneys do just that. We have worked both for some of the largest law firms in the world as well as general counsel to many companies. business lawyers – we are not a real estate attorney firm, but instead we are a business firm. You can find a good real estate lawyer if you want, but call us for a great small business lawyer. commercial attorney – a commercial attorney is really the same things as a corporate law attorney. commercial law – commercial law focuses on the business side of law. What you do as a commercial law attorney is to go through all aspects of a business and apply experience and knowledge to make sure that you use the proper tools to not just negotiate a great deal, but one that fits the overall needs of the business. Contract lawyers in Overland Park – a contract lawyer is typically great at negotiating the terms of an underlying agreement. For example, a good contract attorney will anticipate the needs of the client and add clauses to match those needs. corporate attorney – a corporate attorney is one that works for a company and focuses their legal skills on the needs of the business. 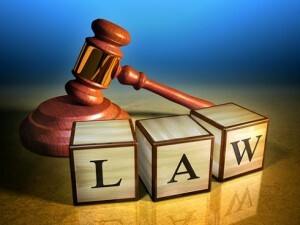 small business attorney – many small businesses are not sure as to what legal services to get. Some settle on large law firms, which can be very pricey. Some small businesses use a general law firm, which does not focus on small business needs. It is good to get a firm that understands the needs of a small business. The best small business attorney around is one that will help you get the right legal answer without overwhelming the business with unnecessary legal costs. corporate lawyers – corporate lawyers are people who want to be known as a business law attorney and not business litigation. They want to be great contract lawyers. corporate law firms – we are the region’s best corporate law firm. We know business and how to help our clients make the most of their business. We’ve helped business clients throughout the Kansas City area, including Overland Park KS, Lenexa, Olathe, and Leawood. business contract – a good business contract will be one that is drawn up the your own company lawyer. You don’t want the other side to draft your contracts as those are one-sided and tilted in their favor. Instead, a good business contract helps you mitigate the risks with your own business. small business law – as we’ve mentioned before, small business law is not the same as big business law. As a small business owner, you need to focus on core business principles. Who cares if the risk goes down by 2-3% if the cost makes cash flow impossible? A great corporate law attorney will make sure that they are the lawyer for business, and not a high-priced corporate law expert. LLC lawyer – we certainly understand the ins and outs of corporate law as well as how it differs for limited liability companies throughout Kansas and Missouri. business law lawyer – a good lawyer will understand the business and business law. The best business law lawyers understand the goals of the business and use that understanding to provide good counsel to move the businesses interests forward. A good business law lawyer will only draft a great agreement while a great attorney will make sure that the risks are mitigated and the contract fully meets the business needs. LLC attorney – A limited liability company is one that has multiple owners and can be taxed either as a partnership (which is normal) or as a corporation. A good LLC attorney understands the difference and is able to use the structure to shield personal liability from the owners of the company. lawyers in business – lawyers in business are those attorneys that understand the values that drive the needs of the business and the owners. Lawyers in business law are strong in that knowledge and focus their energies on the end goals – reducing risk and increasing high value added projects while putting minimal time in matters that have low risk. company attorney – your company attorney will be on that helps out your company through all of their legal processes. Many company attorneys are those that handle an entire range of issues, from contracts, to labor relations to civil litigation. Lawyers can do all of these things, although most great company attorneys are strong in certain areas and get expertise in other areas when needed. lawyer for small business – a lawyer for small business is one that is able to focus on the important issues while keeping costs low. A lawyer for small business does not have the luxury of having a large client that can afford to mitigate all risk areas. Instead, the business needs are focused as one of the biggest risks is cost. 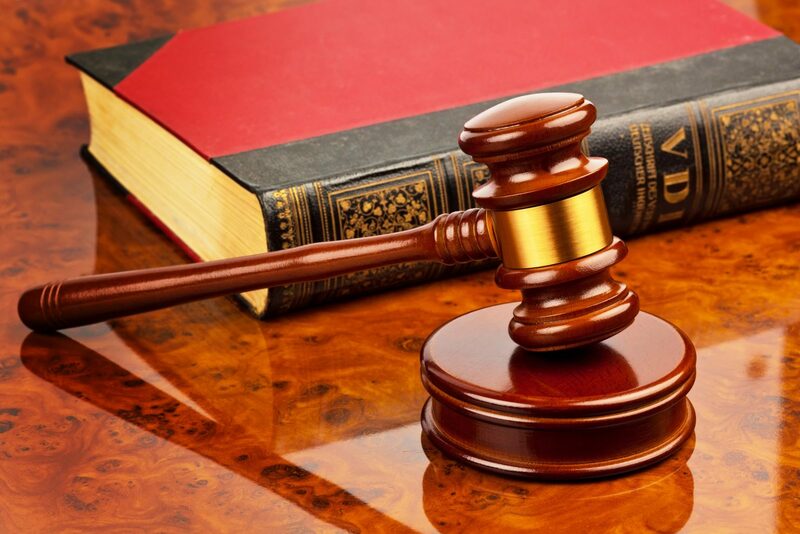 business contract lawyer – a good business contract lawyer is one that understands all of the terms and conditions of the contract and is able to argue persuasively for those issues that are crucial to the business while keeping the other side from overruling the needs of the business. company lawyers – company lawyers are those that represent a specific business or company. The business lawyer will make sure that they have defined exactly what it is that they do for the company. Probate and Estate Planning – although we do not do any estate planning law, we do know of several great firms that do. Small business law firm – the Business Law Group is the best small business law firm in metropolitan Kansas City, including clients in Overland Park, KS, Olathe, Lenexa and Leawood. The Business Law Group is a firm dedicated to business matters. We are a group of highly skilled attorneys (many from AmLaw 200 backgrounds, General Counsel, etc.) that bring fantastic business counsel to you. Our rates are lower because we understand how business truly works and we dedicate ourselves to reducing overhead and bringing those cost savings to you. The Best Counsel – Great Rates. Call us today. • Business formation — Starting a business requires meticulous and comprehensive planning. Issues such as entity formation, corporate formality compliance, financial planning, tax implications and potential liabilities must be carefully considered when creating a business. Should one of these areas be overlooked, you could be faced with a host of problems long before your business is even up and running. • Mergers, acquisitions and other transactions — We guide business owners and directors through every step of the process of acquiring or selling a business, including financing, due diligence and corporate governance. • Advising and consulting — We help our clients with matters of documentation and compliance to help them make business decisions that are legally sound and strategically beneficial. We can help you run your business in a way that supports your growth and minimizes your risks of litigation. • Commercial real estate — We understand the importance of acquiring and managing the proper real estate. We assist clients with purchases, sales, commercial leases and related construction law matters. • Dissolution and transfer — Putting an end to a business is not as simple as hanging a “Closed” sign on the front door. There are legal and financial requirements that must be met to avoid liability and protect your interests. Do you want an internet business lawyer? You may need one. Internet businesses are very prominent in the current landscape. Want to learn internet marketing for lawyers? do you need an investment fraud attorney? Do you want an Investment lawyer? What is a law company? Do you need a lawyer or attorney? Do you have a lawyer referral? Do you want a lawyer referral service? Do you need legal information? Do you have a legal journal? Do you want an online lawyer? Do you want online lawyers? An good business attorney is the type of lawyer that, after years of going through law school and being mentored under several other good attorneys, understands the proper way to counsel clients on the ins and outs with regard to a business. A good attorney is one that knows how to listen to your business needs and then craft a plan that works within those boundaries – one that is flexible enough to meet your needs both now and in the future. Good counsel is just that, good counsel. Our law firm is one that blends the best of legal advice and sound business counsel to best meet the needs of your business. I'm trying to find a lawyer to handle my case. About Lawyers; What do we do? Do you want An Attorney? Do you want an Attorney for hire? Do you need lawyer advice? Do you need an attorney law firm? Do you need attorney legal services? What is an attorney's small business? 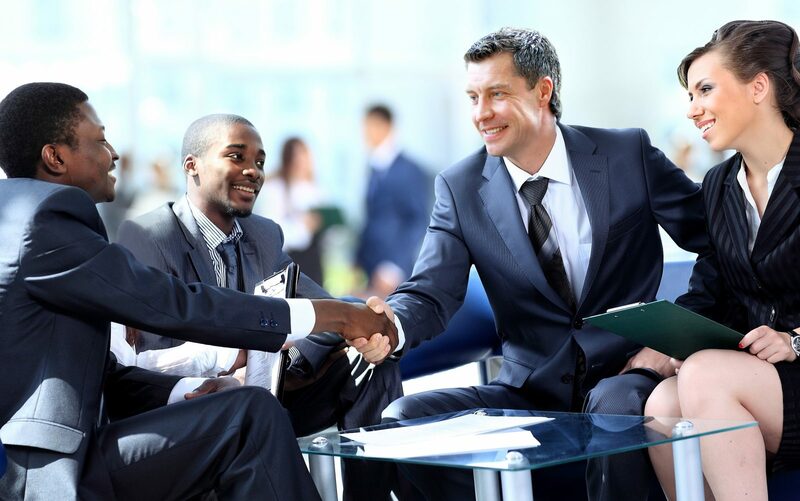 Do you need business development lawyers? Do you need a business formation lawyer? Do you want business ideas for lawyers? Do you want business law help? Do you need a directory of lawyers? Hiring lawyers is easy to do with the help of the internet. How To Be A Business Lawyer? What can law firm marketers do for you? Do you need help with law marketing? What can a music business lawyer do for you? What is good online marketing for Lawyers? A contract is about more than just paperwork. Instead, it’s about the ability to put together different documents for you and your business. A good contract is one that meets your needs today, but one that is also flexible enough to meet your future needs. It takes into consideration your company's health and welfare, as well as the potential issues that can affect your business. Do you need a Company attorney? Do you need a Company Lawyer? A good lawyer is easier to find now more than ever! Good lawyers can help work for you! Do you want help for your small business? Hire an attorney right now! Do you want a lawyer for business? Do you want a lawyer for a business startup? Do you want a lawyer for hire? Do you want a lawyer for your small business? Do you want a lawyer for starting a business? Do you want a lawyer free? Need a lawyer internet marketing plan? Are you a lawyer with a small business? Do you have a new business? Do you want small business advice? Do you need small business consulting help? Are you wanting to practice small business law? Do you work for a small business law firm? Are you a small business lawyer? Does your small business need legal advice? Does your small business need legal services? What about your small business listing? Does your small business have a magazine? Do you want your small business online? Do you want small business tips? What are your small business tools? Is your small law firm marketing good enough? How To Find A Small Business Lawyer? A small business lawyer is one that has to be able to understand the unique issues that involve a small business. Issues cannot be solved in the same way as a large corporation. That is, you cannot just throw resources at every issue. Instead, a good attorney for a small business understands that advice must be tailored so that the business can survive, and thrive, through those issues. Do you want Civil attorneys? Do you want Civil Lawyers? Do you want a Civil Litigation lawyer? Is there law for business? Lawers are everywhere and they want to help? Do you need lawyers for your lawsuit? Do you need a trademark attorney? Do you need trademark attorneys? Do you have a trademark law firm? Do you need a trademark lawyer? Do you need trademark lawyers? Do you need a business fraud lawyer? Sometimes it happens - you end up in a lawsuit. This can occur in situations where you have been wrong and need someone to fight on your behalf. Maybe the other side to a contract thinks that they can strong arm you because you are smaller. Sometimes they are in a bad spot financially. And sometimes they are just not wanting to do the right thing. It's also possible that you are targeted by an employee for a wrongful claim, or someone has a grudge against you. It doesn't matter. When it happens, you need a great lawyer that knows business litigation. Want Business Advice from a Business accountant? Want a Business and Corporate Lawyer? Need help with Business Attorney Fees? Are you making a business for lawyers? Have some business law questions? Want to find out the business lawyer cost? Do you need lawyers for business? Do you need lawyers for business owners? Do you have legal business? Need attorney for your business? Need lawyers for your business? What are the types of business lawyers? Ask the attorney a question? Do you want business legal advice? Do you run a business litigation law firm? Do you need a commercial business lawyer? Business law is different from other parts of the law, such as divorce attorneys. What that means is that great counsel is more than just reading a statute. Instead, it involves an experienced lawyer that can understand the underlying business issue and then dig into his bag of legal tools to pull out the proper contract/advice/counsel to solve that particular issue. Cookie cutter advice doesn't work. Instead, it's a combination of business savvy and experience, along with a deep understanding of the law itself, that makes someone valuable to your company. Want an Attorney or Lawyer? Do you want a business tax attorney? Do you want a business tax lawyer? Do you want business tax lawyers? Do you run businesses from home? Do you want a Commercial Attorney? How is your legal marketing? Do you need a Llc attorney? How is your Llc business? Do you need a Llc lawyer? How do you do marketing for law firms? How is marketing for the law firm? Do you need marketing tips for lawyers? Do you need a music business attorney? A business attorney is one that has spent time studying the laws and applying it to different types of corporate transactions. The recent changes in the tax laws add some complexity to contractual situation and the next several years will be spent trying to work through all of the issues while building flexibility into our clients contracts and business plans. The decision to form a business is a significant personal, financial and legal undertaking. In the early stages of your business, a single mistake can have lasting implications. The right legal representation can mean the difference between success and failure. At The Business Law Group in Overland Park, Kansas, we have helped many entrepreneurs and business owners bring their new ventures to market. We have a comprehensive understanding of limited liability companies (LLCs), limited partnerships (LPs), nonprofit organizations and partnerships. We oversee the entity creating process and assure that all necessary documents are filed so as to comply with regulatory formalities. We offer strategic counsel and legal guidance through every stage of business formation — from choosing the right type of business entity to establishing the proper contracts and permits. We know that creating the actual business entity is only the beginning. We strive to provide you with the tools and information you need to make strategic decisions that fuel your business’s growth and success. We frequently see clients return for legal advice regarding real estate and business acquisition, employment law matters and litigation as they develop their businesses. The buying or selling of a business frequently necessitates the advice and guidance of an experienced business law lawyer. At the Business Law Group in Leawood, we focus on providing businesses with professional representation and knowledgeable counsel when buying or selling a business. Our firm has handled numerous transactions involving the sale of businesses. We advise clients on either side of the sale, ensuring their rights in the transaction are fully protected.Contact us to discuss your specific business sale issues. Many buyers and sellers attempt to use a pre-printed form for the purchase or sale of a business. They may do this to save the expense of a good business law attorney, but this savings may be short-lived. A generic document will fail to cover specific elements of your transaction, and your interests may be compromised, the deal may be lost, and legal fees extracting your business will be many times what it would have cost to have retained experienced legal counsel upfront. It is essential that you fully understand what you are getting into when considering purchasing a business. As the potential buyer, you must understand all aspects of the business, including any problems. In some cases, potential difficulties may outweigh the future potential profit of the business and not be in your interests. Our firm acts in a consulting capacity, performing a complete due diligence review of the business before any actual negotiations or transactions take place and offering our professional assessment and evaluation. Due diligence is similar to a legal audit. All agreements, potential and actual litigation, corporate records, security interests, loans are reviewed to determine the status of the company from a legal perspective. The typical procedure involves drafting a letter of intent, purchase agreement and due diligence review. To further discuss your options when buying or selling of a business, contact the Business Law Group in Leawood or Overland Park, Kansas. Our office is dedicated to helping you create, manage, protect and grow your business entity and its future. If necessary, we can be involved in litigation if there are any disputes that arise. Call us for a FREE initial consultation. For your convenience, evening and weekend appointments are available by request. There are many reasons a business owner may choose to wind down a business entity, such as retirement, financial reasons or simply being ready to move on. Whatever the reason, dissolving a business or transferring its ownership is rife with legal issues and it is essential to take steps to protect yourself. Different types of businesses, such as LLCs, corporations and partnerships, all have their own unique requirements for termination or transfer. Closing your business is rarely an easy decision, and other parties like shareholders and executives can make it even more difficult. We assist clients who need to resolve disputes over a business’s end. In some cases, it may be necessary to file a lawsuit to pursue your interests and make the right decision for your business. As Overland Park startup attorneys, it is a privilege to work with innovative, new companies. We particularly enjoy it because of the energy and the enthusiasm founders bring. Helping entrepreneurs bring their ideas to life is what makes being a startup lawyer fun. As a startup attorney, another benefit is that the legal issues that emerging-growth companies face are often very intellectually challenging: Disruptive, game-changing technology is often at the bleeding-edge of law. At the very outset, startups typically need work with founders’ agreements, entity selection and formation, and assignment of intellectual property to the corporation. Frequently that involves forming a Delaware C-Corporation. As the company starts to gain traction, startups need to assistance with contracts, employment matters, funding, and more help with their IP. Generally, we can assist with all of those items, and should something be outside of our capabilities, We can usually provide our clients with introductions to other professionals and businesses who may be able to assist them. Call us today at (913) 225-8215 for a no-obligation initial consult. Intelligently choose between Missouri, Delaware, or somewhere else. Make an informed decision on whether to have an S-Corp., C-Corp, Limited Liability Company (LLC), or a partnership. If you have more than one founder, you need to be very careful and memorialize the agreement among founders to avoid legal problems later. You also want to make sure that you have vesting in place so that if a founder leaves he or she doesn’t have a disproportionate interest in the business. Are you planning on bringing in outside money. Don’t underestimate the importance of compliance with the state and federal securities laws. I can help with seed, angel, and venture capital financing for startups whether its common stock, convertible debt or securities, or issuance of preferred stock. Most startups have intellectual property to safeguard. Be sure that you have legal advice on how to protect your IP. How Can Blockchain Technology Help Save Our Privacy?